[toc]Underarm or armpit sweating is something very natural and is the body’s way of shedding of excess toxins and salt. However, when it starts to happen in excess or tends to get a bit smelly, things can take a bad turn. Also, if you are heading out for an evening and dancing is on the mind, then sweaty patches on the underarms and even clothes tend to turn you off. 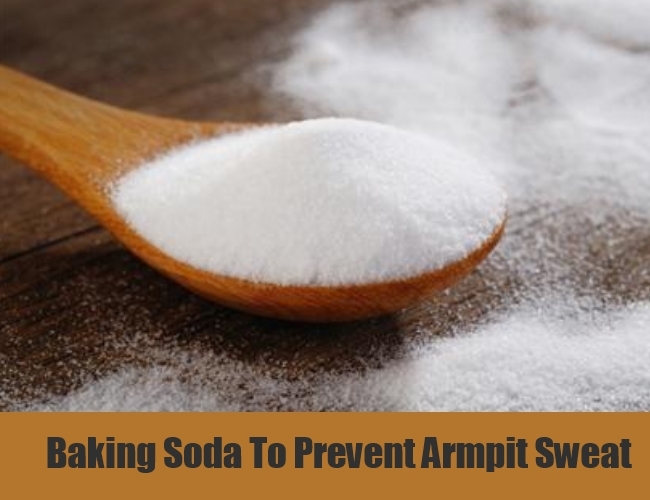 One of the best ways to reduce armpit sweat and perspiration is using baking soda along with some aluminum chloride, which is found easily in deodorants. Basically the combination of these two leads to a chemical reaction as the alkaline baking soda reacts with the acidic body sweat.. For this remedy mix some baking soda with water to form a thick paste. Then apply it on the underarm area, preferably post waxing or shaving and let it stay for at least half an hour. 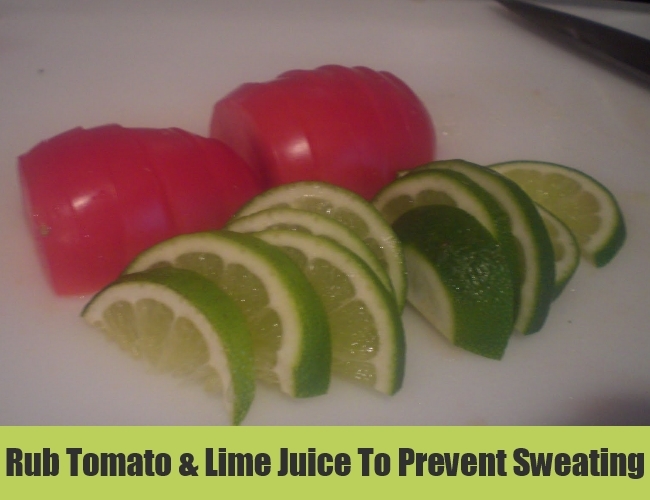 This helps to dry up the sweat and also helps in treating dark underarms. Talcum works in this reference too, but is not as natural as baking soda and should not be used too often as it blocks the pores. 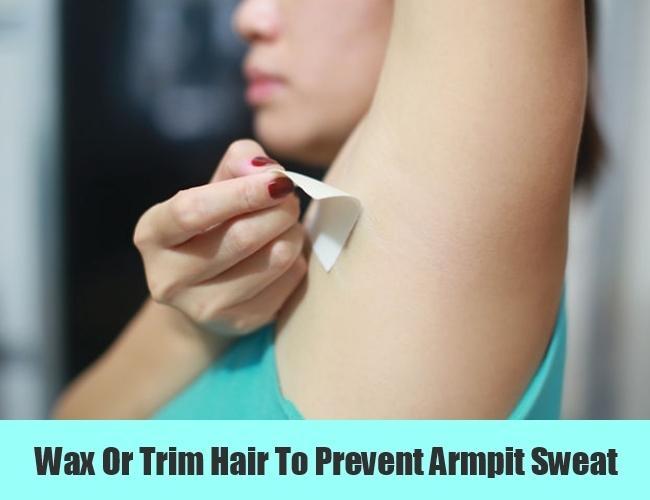 Another remedy for excessive underarm sweat is to trim the hair over there. What happens is that hair tends to block the pores and waxing and regular trimming helps the skin breathe better, which in turn reduces the sweating in the area. Apple cider or even regular vinegar is a good way to let the pores of the underarms get neutralized and thus produce less sweat. The bacteria in the area, which causes smell and sweat dries up because of the vinegar and you stay dry for a longer time. 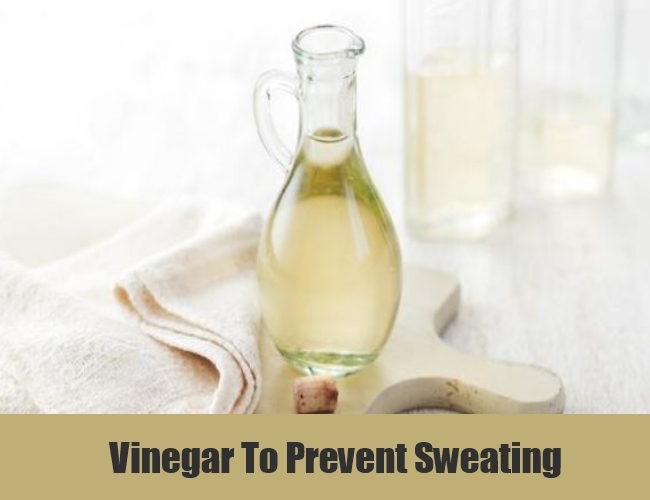 You can apply some vinegar before retiring to bed so that it penetrates through the skin all night. Then in the morning wash it off with soap and water. This combination too is a great way to deal with excessive sweating of the underarms and treat dark patches and smelly sweat issues too. You can combine the duo or opt for them separately too. Just rub the lemon on to the skin and let it stay for a few minutes or you can also apply the juice over there. Similarly tomato pulp should be applied on the area and let it stay for about twenty minutes. You can combine the duo along with some sage or basil also for getting a better hold on sweating. This is a quick and sure shot cure for getting rid of underarm sweat issues. You can actually apply an antiperspirant on a daily basis to combat this problem. There are mild and natural variations available that last a good 24 hours so you don’t even have to reapply the same. It keeps odor away too and work better than deodorants. Basically deos are known to be effective only in controlling body odor. They do not control the sweat glands. Antiperspirants on the other hand haven ingredients that prevent sweating, keep the armpits dry and cool. Since one does not sweat much at nigh, it is suggested that you apply the same at night for better absorption. However, you should make sure that you wash it off after 8 hours to let the skin breathe. It is true that clothing really makes a lot of difference when it comes to sweating. The fabrics made from natural ingredients like cotton, hemp, linen, wool and even silk are more breathable and hence one does not sweat that much when wearing it. So the next time you are heading out, make sure that you opt for natural fabrics that make you sweat less and also do not leave behind a stench or a stink. Stay away from nylon, polyester and other synthetic fabrics. 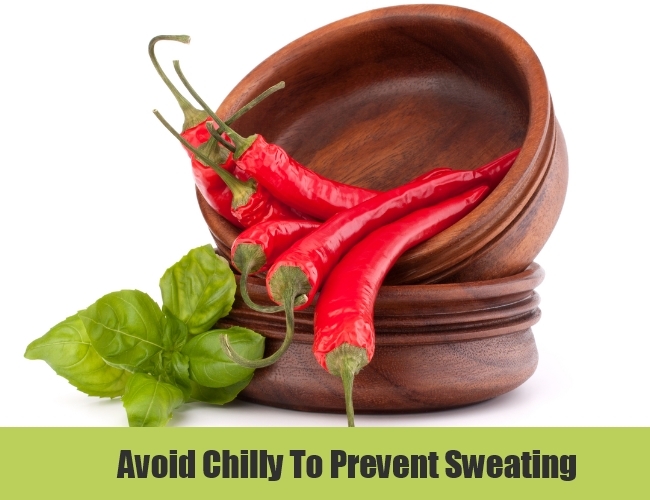 It is truly said that eating a lot of spicy foods does make you sweat more. You should stay away from cayenne and tobasco and other similar chilly based foods. These send out signals to the brain for sweating more and thus results in more problems. However, you should drink a lot of water and eat natural fibers so that the body is able to flush out its normal sweat, without over burdening you. It is said that exercising is another great way to prevent sweaty issues. What happens here is that the body already flushes out sweat while doing these exercises and hence one does not sweat much later. Yoga practices like meditation, deep breathing and surya namaskar too help in curbing the sweat problems. You can easily buy underarm pads, which are available in the market and meant for sweat absorption. What happens is that sweaty patches on the garment can be more of a social stigma. 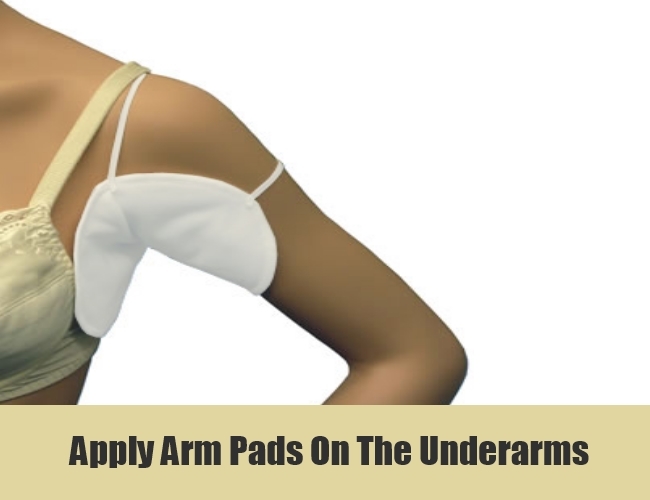 By applying these pads on the underarms, you let the sweat get absorbed by the pads instead of showing on the clothes. Opt for cotton based ones rather than synthetic versions because they are a temporary solution to prevention but in the long run will not really work. There is a laser treatment called thoracis sympathectomy that should be used as the last option for getting rid of underarm sweat issues. In this treatment, which is meant for individuals with excess sweat issues, the nerves are inserted with an laser via a tiny endoscopic instrument. This tends to intervene with the functions of the sympathetic nerves that are responsible for sweating. Hence, the treatment gets effective but there are a lot of side effects that come with this. Some of it includes damage to the brains of the nerve, breathing issues and other similar problems. So stay free from sweaty issues with these useful tips!